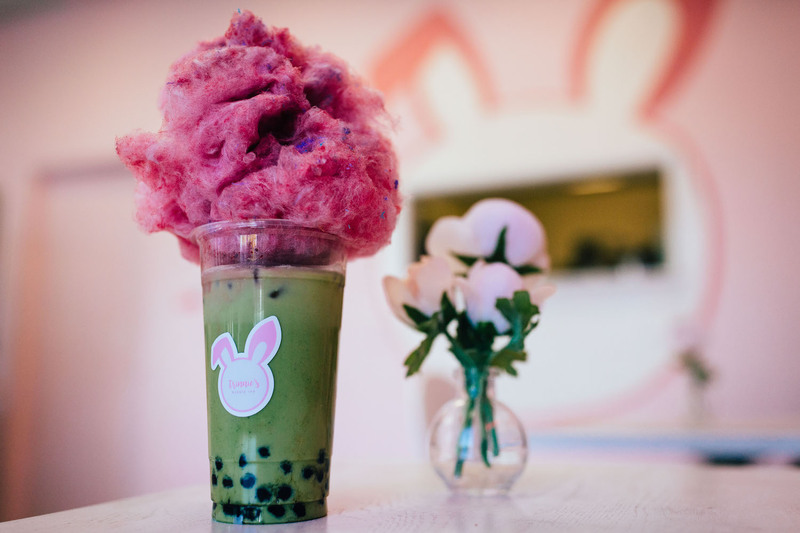 Home Dining These Are the 14 Most Insane Boba Creations in L.A. Going to the boba shop is a lot like reading a “choose your own adventure” story. You choose your base, flavors, and toppings – the combinations are endless. 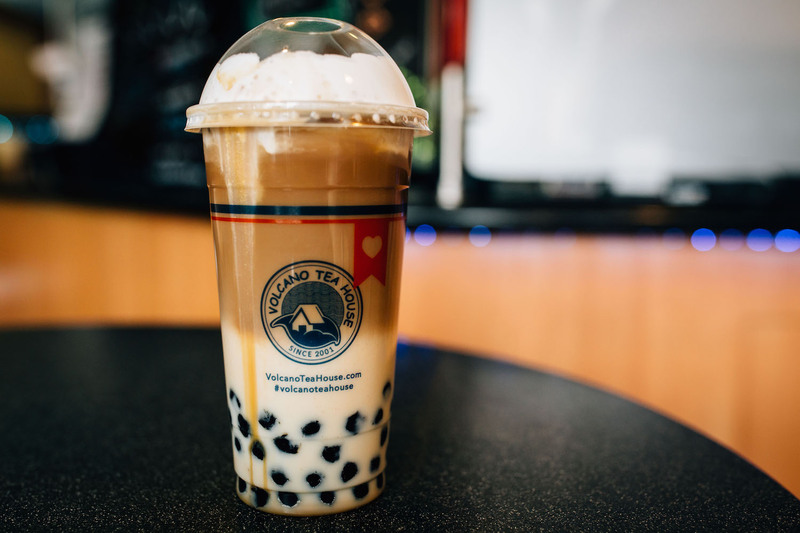 You can go simple and stick with a basic milk tea and regular boba pearls. But if you want to step outside your boba comfort zone, you can go wild with crazy flavors and different toppings. Every wall and corner of this place is so photo-friendly, your selfies will look pro, but your face will be outdone by their orange yuzu drink. Yuzu is a fruit similar to the Filipino calamansi. 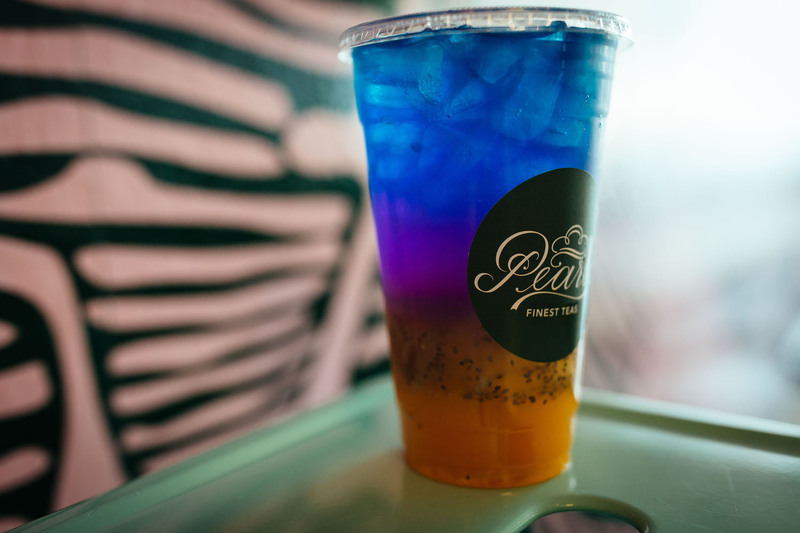 It’s got a sweet citrus flavor, and when mixed with hibiscus tea, it creates a rainbow of glowing colors. I Love Sweetea does a legit version of this classic Mexican drink. 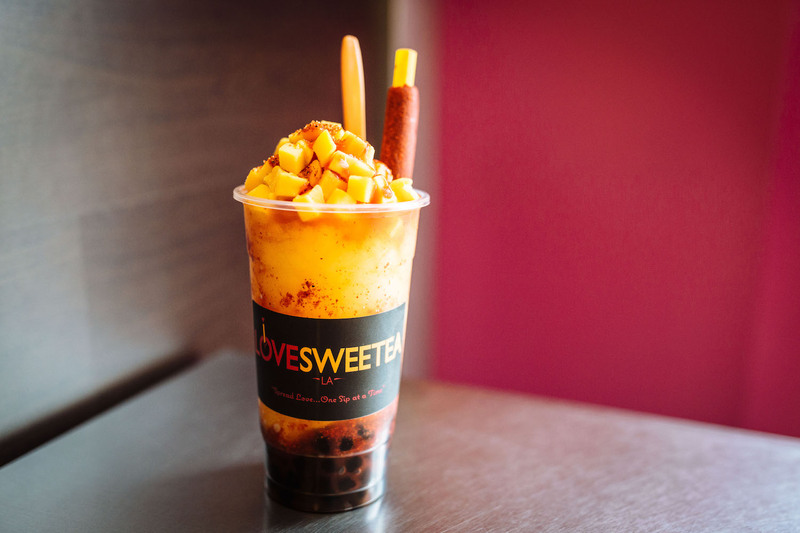 It’s a combination of a sweet mango raspado, spicy chamoy sauce, tangy fruit seasoning, tart mango chunks, chewy boba, and a tamarind candy straw. Flavors this addictive should come with a disclaimer. This drink is the cutest plant arrangement you’ll ever see. At Bon Bon Tea House, you can order any drink with a potted plant topping. *Wink wink* It’s actually Oreo cookie crumble and a fresh mint leaf. You know the Starbucks baristas hate it when you order your crazy venti frappe with all those extras. 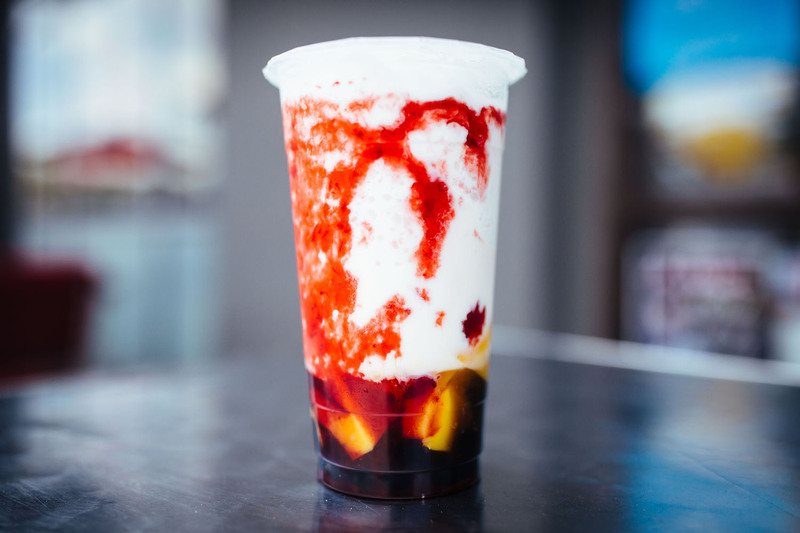 Just stop with that nonsense and get this beast from Volcano Tea House. It’s a caramel latte with whipped cream and a caramel lava flow. 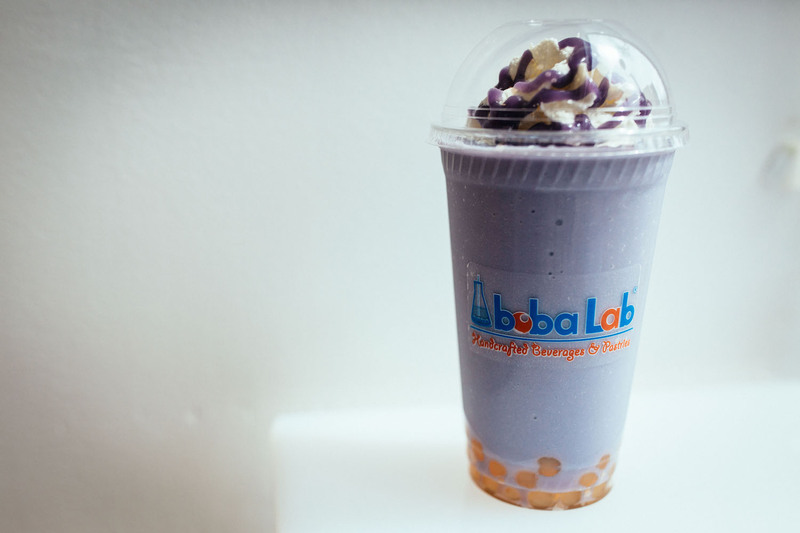 The mad scientists at Boba Lab infuse flavor into their boba pearls, and there are new drink and pearl flavors every season. This ubelicious drink, which tastes best with their hazelnut boba, wasn’t originally available all year round but it was so popular last fall that they’re bringing it back! Hooray! Take your pick from any of your favorite childhood cereals – they have all of them. These milk shakes are blended with your choice of cereal, topped off with boba, whipped cream, and more cereal. If you’re the type of person with zero self-control, go for the sumo size. This is probably the most L.A. thing to ever happen to boba. 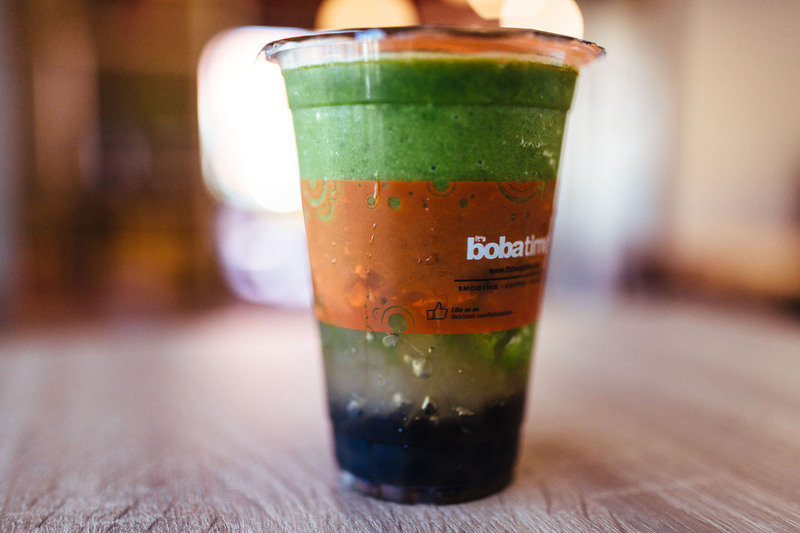 At It’s Boba Time, you can get your daily serving of vegetables while getting your daily serving of boba. Win/win. There’s a surprise layer of strawberry boba in the middle of this strawberry parfait. While you’re inhaling it, you can ogle at the Lichtenstein-esque walls and other funky artwork. Wintermelon might sound like one of those fragrant lotions from Bath and Body Works circa 1995, but it’s actually a fruit used in Chinese cuisine. The sweet wintermelon flavor is popular in boba tea in Asia and is just now catching on over here. 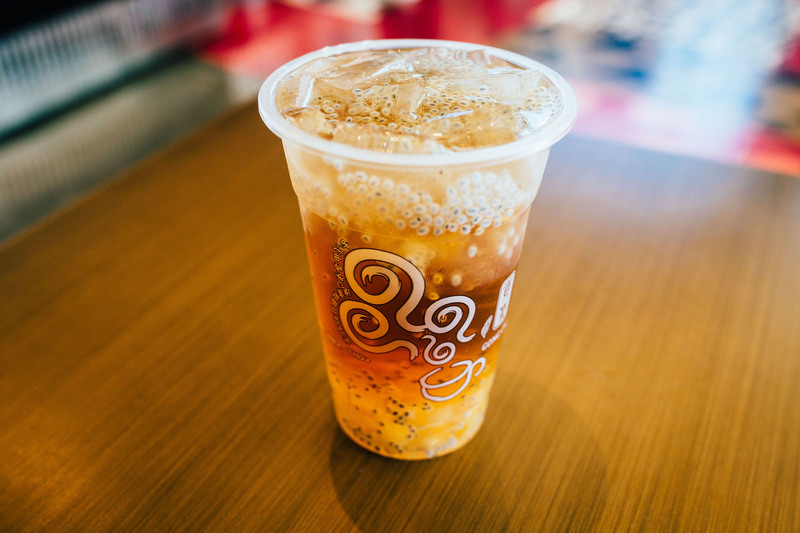 The lemon wintermelon tea from Gong Cha is sweet with a slight citrus tang and has candied wintermelon bits and basil seeds. The super cute décor, fluffy pillows, and neon wall art will make you feel like you’re on the set of a Katy Perry music video. Even the drinks look like they’re pastel color coordinated. But the best thing about this place is the cotton candy cloud of happiness that they put on top of their tea. This is not your average lemon green tea drink. 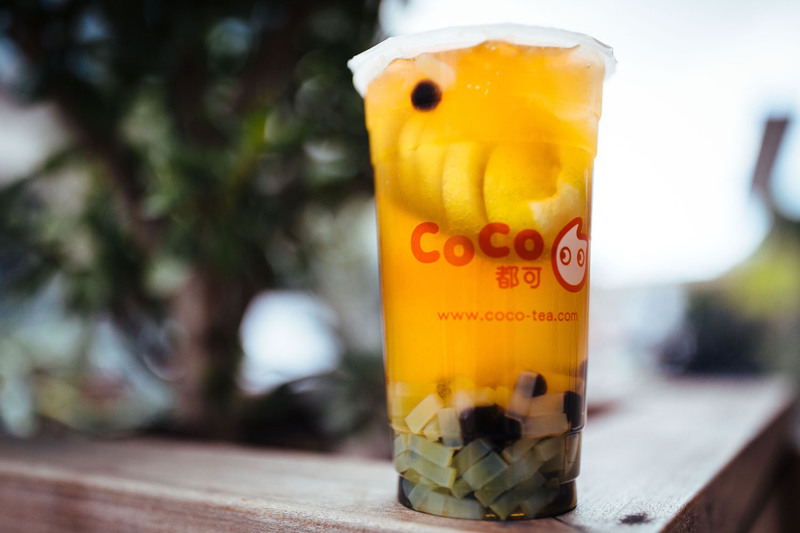 At Coco Fresh, they’ll serve your sweet lemon green tea with an entire lemon in it. Besides adding a fresh tart flavor element to your tea, it also looks pretty cool. When you can’t decide between shaved ice and boba tea, why not get both? The strawberry snowie from Twinkle Brown Sugar has a layer of fluffy ice shavings with strawberry syrup drizzled on top. Before you pop that straw in, shake well to mix the snow with the strawberry and toppings. 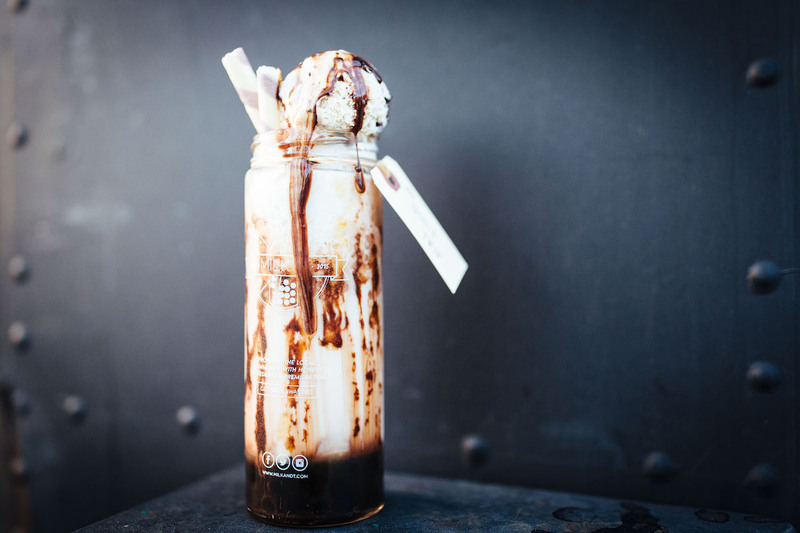 The Milk+T boba truck will soon have its own boba shop in Little Tokyo later this summer. Let’s all celebrate this joyous news with a guilt trip. You can order it with 50% sweetness so you don’t feel as guilty when you ask for a healthy scoop of ice cream on top. With a name Dingle Berries, you know this place must be pretty wacky. Menu items include “whore,” “dirty whore,” and “berry whore.” The whore is a horchata milk tea, and you can make it dirty by adding a shot of espresso. Sure, laugh all you want but they actually do some seriously good tea and boba pearls here.